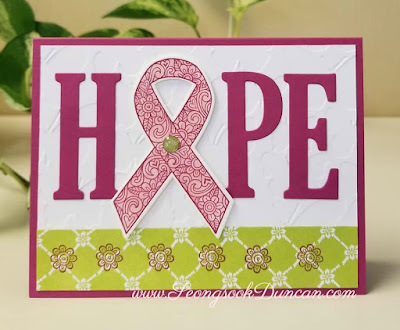 Breast Cancer Fundraiser Cardmaking Class during lunchtime with these happy coworkers. Three of nine attendees were absent but they all got their card kits ready to assemble. So I raised $45 and $10 extra donation from one sweet breast cancer survivor. 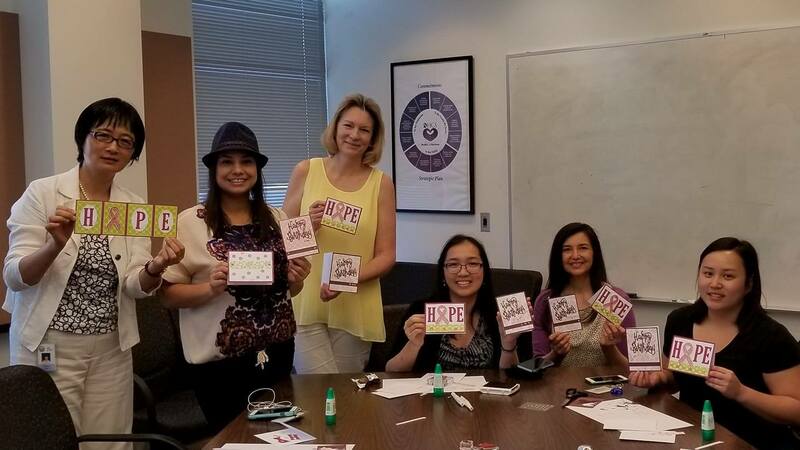 We had a fun time assembling card kits, chatting about summer vacation and lots of laughter. We also shared the sorrows for losing our loved ones due to cancer. 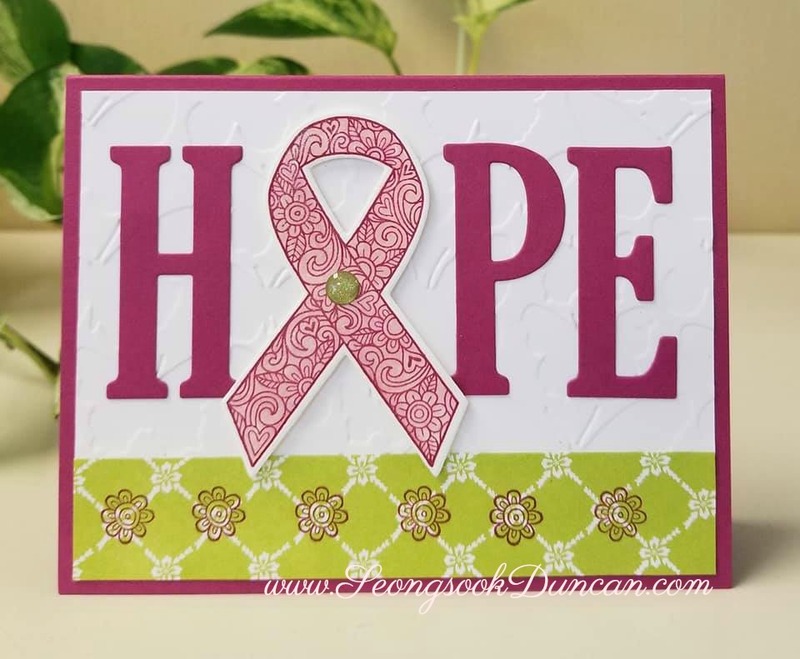 I love this Patty Bennett's "Million Dollar" Stampin' Up! Set - Ribbon of Courage. Thanks for Caring. Happy Father's Day!